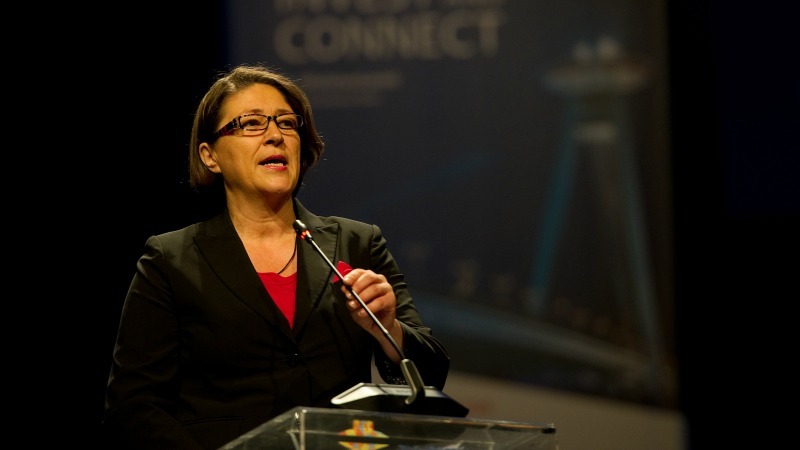 Violeta Bulc is European Commissioner for Transport. She answered questions in writing from EURACTIV Slovakia’s Senior Editor, Pavol Szalai. Has the Commission chosen which type of decarbonised passenger road transport it will support in the long run? Biofuels, electrical cars, something else? If so, what are the reasons behind the decision? Transport accounts for around a quarter of Europe’s greenhouse gas emissions and still depends on oil for about 94% of its energy needs. That is why on 20 July, the Commission will adopt a strategy for low-emission mobility, which recognises the key role of alternative energy sources. My view is that there is no single energy solution for the future of mobility but that we need to look at what options are available now, and in the future for the different transport modes. There are a lot of opportunities for Europe to develop leadership in new products – renewable electricity, advanced biofuels and biomethane are some of the most promising alternatives. What are the results of EU coordination, when it comes to support for the electrification of transport – such as infrastructure, recharging stations etc.? A large part of alternative energy requires specific infrastructure outside the current refuelling system. This is why the European Parliament and the 28 EU member states adopted legislation in October 2014 to ensure the deployment of refuelling points of alternative energies across Europe – for electricity, hydrogen, natural gas, etc. Their design and use will respect common standards, including a common plug for recharging electric vehicles. In this context, members states have to submit by November 2016 to the Commission a plan for the deployment of these infrastructures. The EU will analyse these plans and, if necessary, will consider new initiatives. It is also supporting the deployment of infrastructure financially, with €600 million in EU financial support for nearly 100 projects. What is your opinion on national subsidies to buyers of electric vehicles? In Germany for instance, the government adopted a €5,000 scheme to help drivers buy an electric car. Is this kind of subsidy necessary for alternative mobility to pick up? Is this not also a challenge for the EU’s competition policy? Member states have at their disposal a wide range of regulatory and non-regulatory incentives and measures to support the development of a market for alternative fuels, vehicles and infrastructure. The kind of subsidy you describe is one of the measures to boost the market uptake of alternative fuels, in this case of electric cars, until there is a self-sustained market for alternative fuels vehicles. But the support schemes should be designed in a manner that they do not have any discriminatory effects on producers. Also, ideally such subsidies would promote mobility concepts and not only one particular mode of transport or technology. Two EU member states (Netherlands and Germany) and one EEA member state (Norway) are planning to ban the sale of new fossil-fuel vehicles as of 2020. Will the Commission try to coordinate this kind of effort for the transition towards electromobility? In our Strategy for low-emission mobility of 20 July, we acknowledge that a lot more needs to be done to create markets for low- and zero-emission vehicles. That is why the Commission is working on improving consumer information through car labelling and to facilitate green public procurement, which support the market uptake of zero emission vehicles, for example of buses. In parallel, we are also working on post-2020 CO2 standards for cars and vans. What are the Commission’s most important initiatives concerning autonomous, or driverless vehicles? There is still a long way to go, before fully automated and autonomous vehicles will be running everywhere on our roads. Connecting vehicles and the infrastructure is an earlier step on the way to full automation that will bring economic and social benefits. We are currently working on a Master Plan for the deployment of such technologies, called “cooperative Intelligent Transport Systems” (C-ITS), which we will publish later this year. There are also on-going discussions between the Commission and the member states to improve the requirements on advanced driving assistance systems, in particular in the framework of the United Nations Economic Commission for Europe (UNECE).